We traveled through the Gaspé peninsula along the road that hugs the coast, with old lighthouses marking our way. We frequently stopped by villages along the way to pick up fresh baked loaves of bread, smoked fish, and local cheeses, which added up to a delicious picnic lunch. There was always a place to sit along the shoreline where we could watch little fishing boats bobbing on the waters and savour prefect tranquility. There were also many delights to be found further inland. September is the month when apples trees are laden with fruit and you can drive to orchards to pick your own, while at the same time shopping for wonderful apple pies, preserves, juice and cider. You can follow the famous cider trail through the heart of Quebec, going from one orchard to the next, tasting the subtle variations that each producer brings to their product. Many of the cider producers have restaurants on site that specialise in crêpes, which they serve either sweet or savoury. 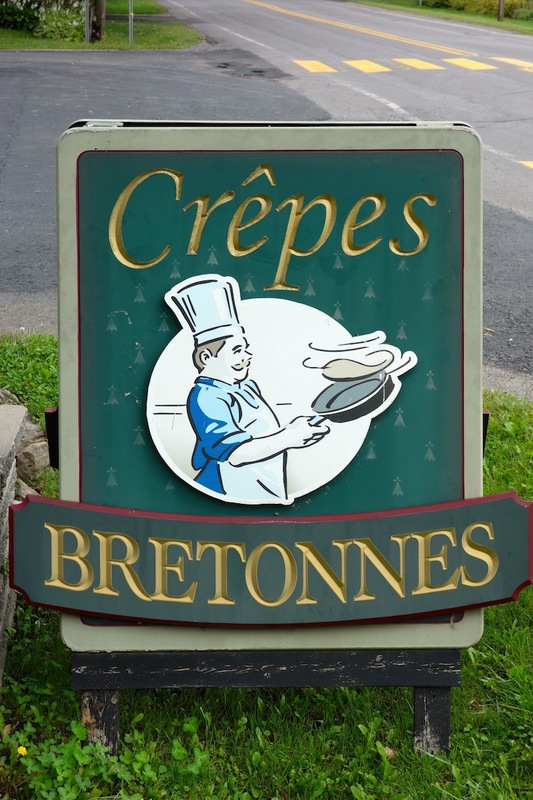 Crêpes originated in the French region of Brittany, where at one time they were considered peasant fare. Legend has it that they were invented by a farmer who spilled a bowl of buckwheat flour batter on a hot stone in the fireplace. 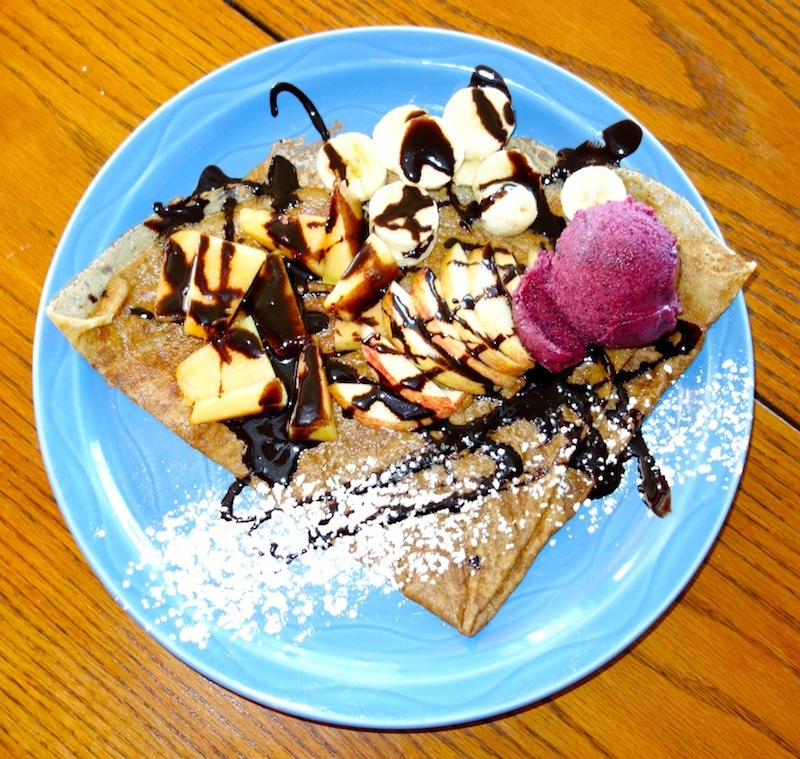 Crêpes have gone decidedly upmarket since their humble beginnings and you will now find them being served in the most elegant restaurants, where you can select from an amazing variety of toppings. A Sunday brunch of apple cider and crêpes cannot be surpassed! Indian style crepes or Cheelas as they are known in Hindi are a favourite snack, easy to whip up at any time. 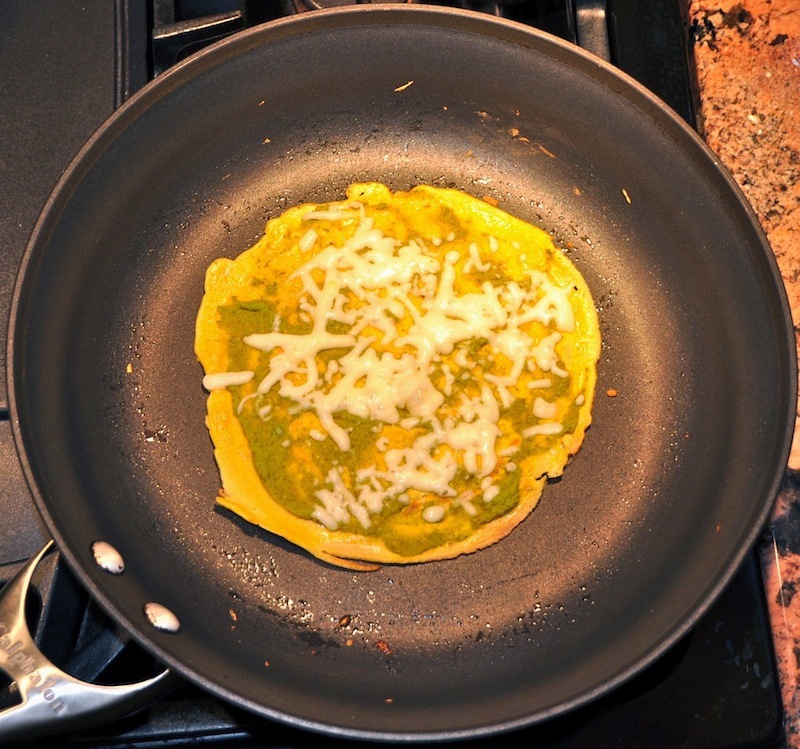 Fold an omelet or fried egg into them and they make a great breakfast crepe too! My recipe uses chick pea flour in the batter as is traditional. Besides being high in protein, the chick pea flour also adds a delicious earthy flavour to the crepes. Chick pea flour or Besan in Hindi, is easily available in Indian grocery stores. If you can't find any, you can use all purpose flour or buckwheat flour instead. When I want to make my cheelas extra special, I stuff smoked salmon and brie in them with a bit of chopped dill mixed into the batter. You can also stuff ham and Swiss cheese if you wish or sauteed onions and mushrooms. They're delicious every way! For traditional French style crepes, check out my recipe here! Sieve chick pea flour into deep mixing bowl. Add water and stir until smooth. Add salt, spices and baking powder. Mix well, let batter rest 15 min. 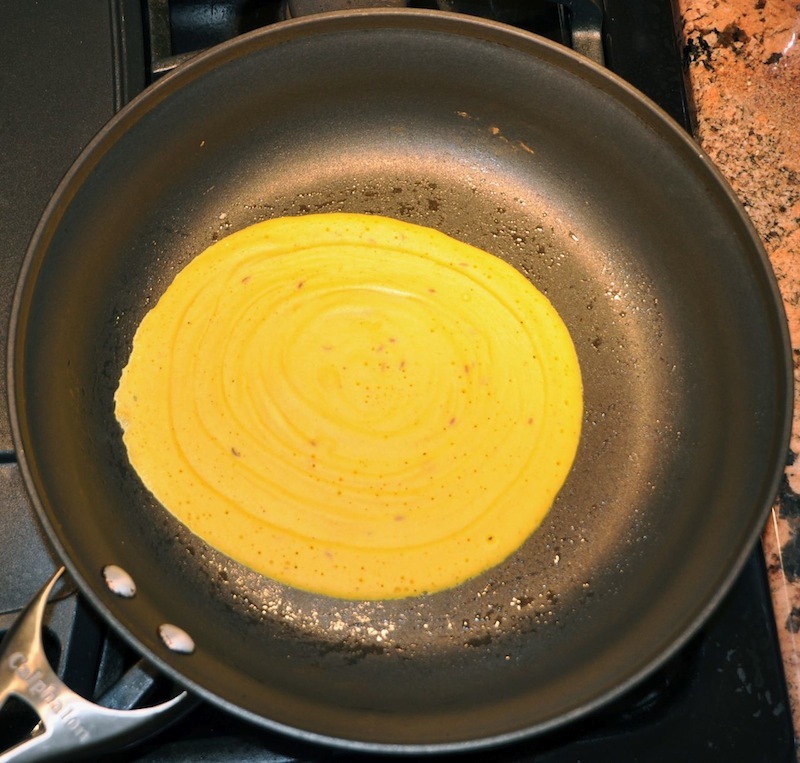 Warm 1 tsp oil in large non stick frying pan or crepe pan over medium heat. Spread about 1/4 cup prepared batter in pan, using rounded ladle to spread it thinly until it is 8 inches in diameter. Cook 2 min or until bottom is golden and slightly crisp. Flip cheela and cook for 1 min. Flip over again and spread 1 tsp chutney evenly on top. Sprinkle 2 tbsp grated cheese evenly over chutney. Cook 1 min until cheese starts to melt. Fold cheela in half and transfer to plate. Repeat similarly with remaining batter.